No matter what your goals are, KCC has a program that will help you attain them. In as little as two years, you can get a degree, you can earn a certification in as little as one year and we also offer less-than-one-year certificates to help you start a Career Pathway or advance an occupation. And KCC credits transfer to many colleges and universities so you can get started on a four-year degree at a fraction of the cost. When you're ready KCC is ready to help you get started. A list of our program advisors and their contact details. View the important dates of the academic year. Printable academic calendars from the current and previous years. Students shall practice academic integrity and are expected to do their own work. See this page for more information. Communication is vital to human life. Whether it be auditory, visual, or physical, knowing how to communicate effectively is a necessary skill for one's work and personal life. Let us at KCC teach you how to speak to be heard and listen to comprehend. Klamath Community College, in partnership with Black Rocket, offers several technology-based summer camps for ages 7-14. Stocks new and used textbooks, school and art supplies, KCC logo items, and more! We want to support students in making good decisions about potential education and career choices. List of career pathways available for our academic programs. Information about program requirements and class descriptions. Contains past and present academic catalogs. We offer a variety of mathematics classes, from basic mathematics to calculus to statistics. These classes are designed to help you meet the requirements of your degree program and to understand mathematics as a tool. Using written communication effectively is a necessary skill for one's work and personal life. Let us at KCC teach you how to write to be heard and read to comprehend. Online courses, also called distance education courses, provide opportunities for students to take classes from anywhere and allow education to take place around busy schedules. Classes meet only once during Final Exam Week based on this schedule. Finals are held separate from normal class times, so be sure to check the finals schedule. In the health sciences department we study how to keep the body happy and healthy. It is a science where scientific research and knowledge is put in to proactive for the betterment of living beings. Attend synchronous courses, traditional classes on-site at the Innovation and Learning Center or online through KCC Lake County. The Learning Resource Center in Founders Hall houses the College’s library, Tutoring Center, and Testing Center. Information and other items related to the mathematics discipline at KCC. Provides a one-year curriculum for students who plan to transfer to a state of Oregon community college or university. Instructions on how to pay your Klamath Community College bill online. Bills may also be paid in person at the Cashier's Office. KCC is authorized by the Oregon State Board of Education to provide approved academic programs (degrees and certificates). Find information on our programs and disciplines. 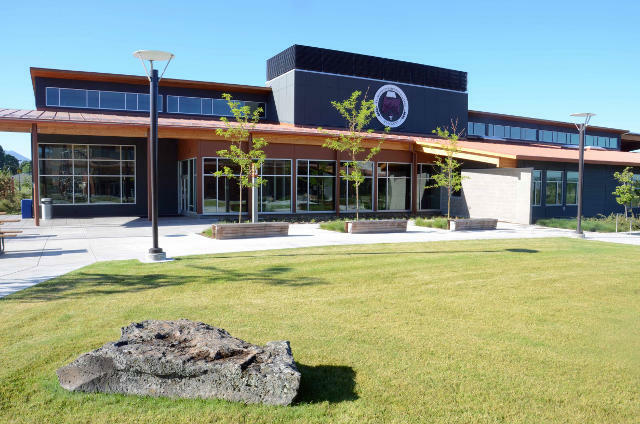 Developed by a partnership between KCC, OSU and Klamath County’s local, state, and federal responders, the Public Safety Training center trains for fire, emergency medicine, and criminal justice. The science discipline at Klamath Community College covers biology, chemistry, environmental science, geology, and physics.